Su-Kam Power Systems Ltd. is India's largest power solutions company which has a presence in 90 countries worldwide and holds a record for being the only company in this field to file for over 120 patents. It manufactures more than 250 products including various solar products, UPS, batteries, and customized solar solutions. It has over 50,000 channel partners in many countries around the world. 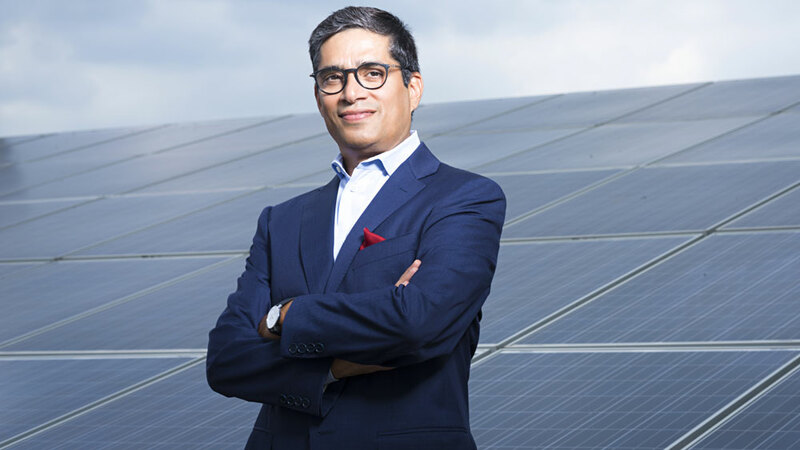 In a tête-à-tête with Kunwer Sachdev, Managing Director, Su-Kam, we discussed the biggest challenges for the industry and also the growth path of Su-Kam for the coming year. You have around 75000+ channel partners. How do you choose your franchisees/distribution partners? Any specific criteria? There are no specific criteria for selection of channel partners. Any individual having a desire to work in the solar segment and willingness to promote the solar industry can become our channel partner. Also, the distribution network varies from place to place according to the geography, dynamics and needs of the customers. What are the biggest challenges for your industry and how do you plan to overcome them? The solar industry, at present, faces a potent threat from cheap Chinese products. One of the major reasons why low -quality Chinese solar products have penetrated Indian market is the low cost of Chinese modules. They are 10-20 percent priced lower than their Indian counterparts. However, this is only one side of a coin. Most of us are unaware of the fact that Chinese products are of far inferior quality than that of India and can cause our appliances to malfunction. Moreover, Chinese companies indulge in misrepresentation of facts and do not provide any assurance about the lifecycle of the product. We at Su-Kam, are fully geared to overcome this challenge through our state-of –the- art products which are a successful example of ‘Make in India’ and are designed to make lives comfortable and hassle-free for customers. How important it is today to have patents in a distribution and franchise business? Su-Kam has a unique distinction of filing over 120 patents. It is important to have patents to keep in check unethical practices on the part of Chinese manufacturers and other competitors. Filing patents also helps to maintain the top-notch quality of work that we are doing. What are your comments on India’s solar Industry? Do you think there is a lot of need for proper awareness? Although the government has taken a slew of initiatives to promote solar energy, a lot more needs to be done to educate people about its benefits. Su-Kam is playing an instrumental role in inculcating awareness among people about solar energy. To this effect, the company organizes solar training workshops across the country. It is in line with government’s ambitious target of preparing a skilled and industry -ready workforce to fulfill the target of 100000 MW of solar power by 2022. Su-Kam has also established a Centre for Smart Solar Energy at Manav Rachna University in 2016. Keeping in mind that an educational institute is a perfect place for conducting training that will help youth to explore alternate sources of energy, the centre has been provided with state-of-the-art equipment and witnesses a flurry of activities related to instrumentation, control and optimization of various energy systems. We also have a dedicated Youtube channel geared to promote solar education. It has over 30,000 subscribers. What stringent steps are you taking for quality check? Equipped with state-of- the- art technology, Su-Kam’s products greatly enhance the comfort level of customers. Top- notch quality is the key highlight of Su-Kam’s products. Our products are in line with global quality standards. All our products go through a series of quality checks. Firstly, all of them are manually checked in the product line. Then, they are checked through automated machines. Finally, about 10-15% of the products are picked randomly to go through the entire process once again. Your expansion plans for coming year? We are making highly efficient solar products that will reduce the return on investment we are providing solutions that can convert normal inverters to a solar inverter at a very low cost. At the same time, our grid tie inverters will not only fulfill the energy requirements of the home where they are installed but they will be able to feed power back to the grid hence enabling earnings as well. Solar along with storage will be the next big thing worldwide, so Su-Kam will be a company selling power rather than selling products. We are also supporting all initiatives by the government towards promoting solar energy and we wish to grow along with the solar industry. My advice would be to follow your passion because when one does that, he is able to come up with products and services that are worthwhile and able to leave a mark in the market. The sole aim should never be creating only the valuation for the company. Instead, focus on creating value through your product, rest will follow.